THAT'S THE TOMORROW WE ARE CREATING. STRONG YOUNG PEOPLE CREATE HEALTHY COMMUNITIES. In a world where the pathway to adulthood is becoming increasingly tricky to navigate, we are creating a future where our young people have the space they need. Space to learn, space to change and space to grow into their potential. We know it takes a whole village to raise and guide our youngest citizens as they find their place in their community. We recognise the collective power of whole people. 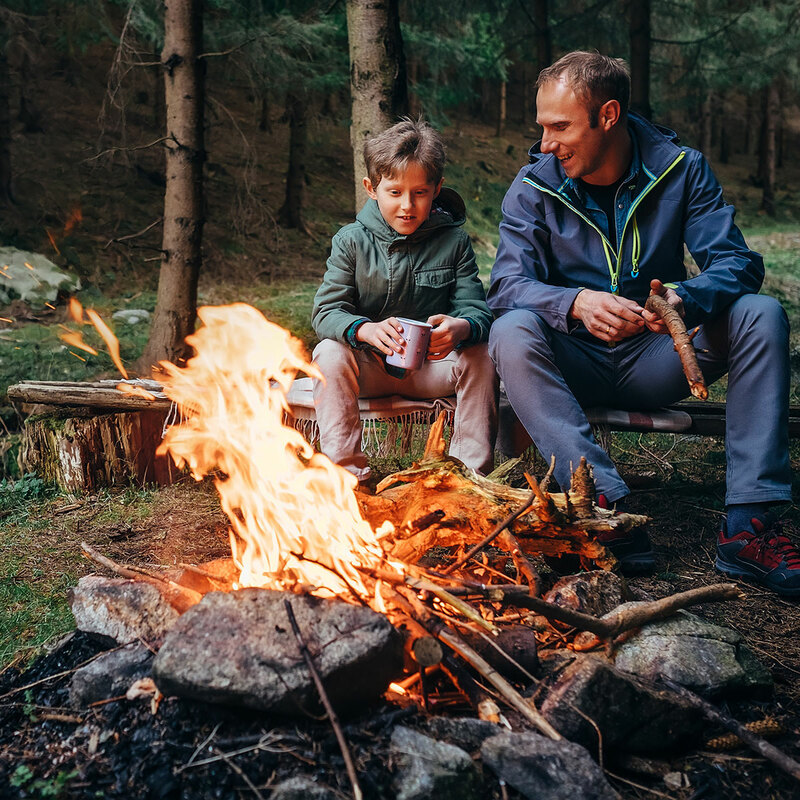 By fostering growth in the next generation, we build confidence, uncover potential leaders, grow greater networks and develop healthier communities. Building a whole-school approach to Rite of Passage with Sacred Heart Catholic College. Delivering an overnight Rite of Passage camp for year 9 boys from Mazenod College. Delivering student leader training and adventure activities as Bunbury Cathedral Grammar School host the 2018 Round Square School Conference. Team-building the focus for the Hockeyroos in the lead up to the 2018 Commonwealth Games. Leading a two week expedition in the Kimberley to support an experiential learning program for Melbourne’s St Kevin’s College. Building a whole school approach to Rite of Passage with Sacred Heart Catholic College. Sacred Heart wanted to embed a Rite of Passage program across the school to support a health and well-being approach to learning. 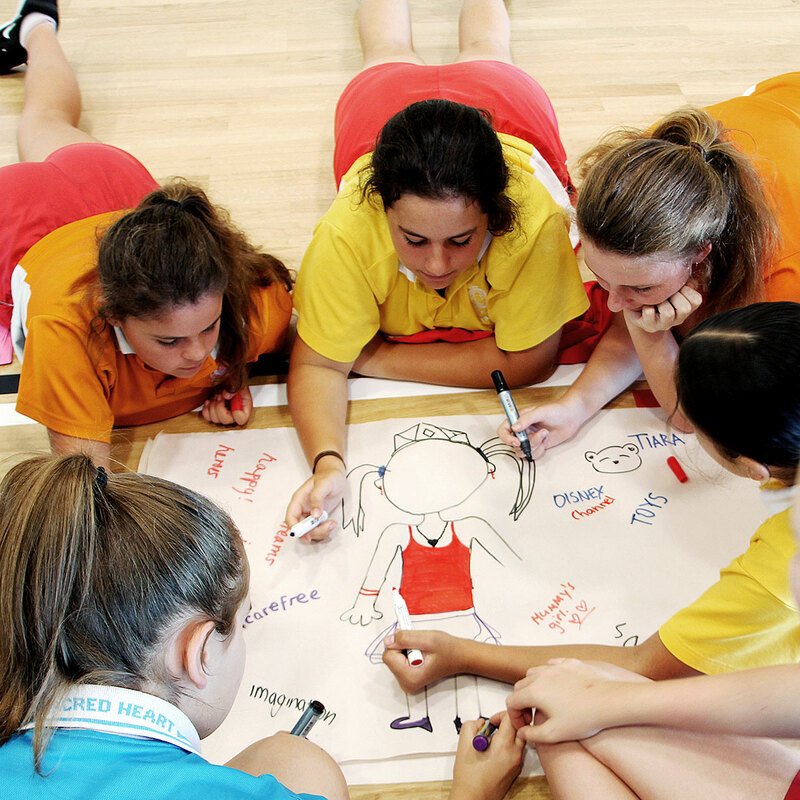 Beginning with the Year 9 camp, AW facilitators worked alongside teachers to weave processes and activities that supported safe conversations with students to consider what adulthood means to them and what the experiences and challenges of life are on the journey. 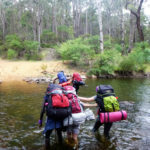 The success of this camp led to the development of a 12 month in-school program for year 9 students, a re-connection camp for year 10 students, parent and student information sessions for year 8 students, teacher training and a service leadership workshops for year 11 students. 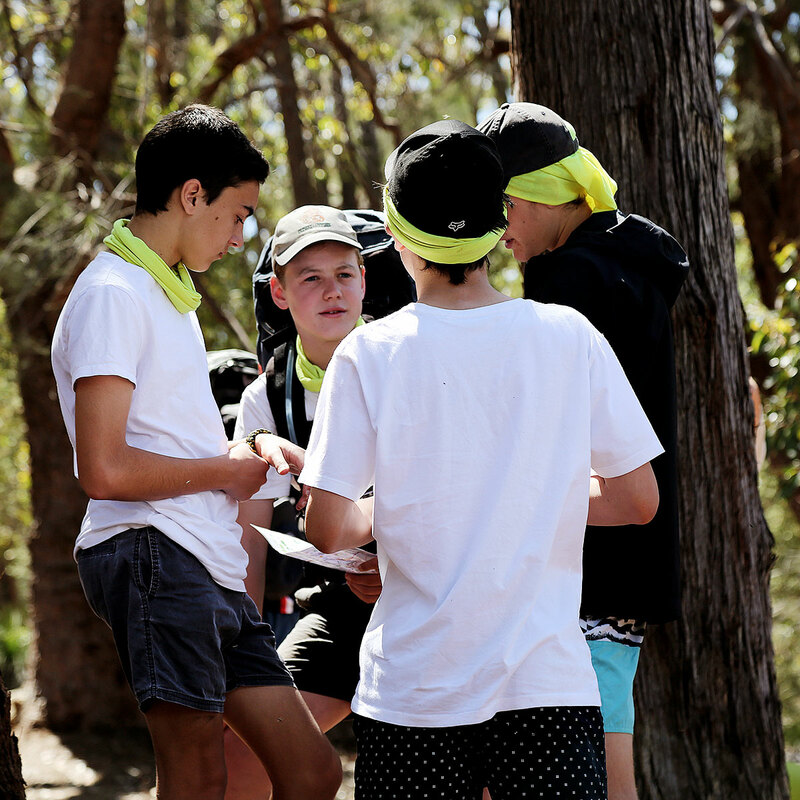 Mazenod College run a 12 month school programme for year 9 boys and were seeking support to run an overnight Rite of Passage camp to complete their programme at the end of the year. AW worked with the year 9 coordinator to design a programme aligned with the language and intent of the school’s existing programme. Training was delivered to the teachers prior to the camp empowering them to work alongside AW facilitators with small groups of 15 to deliver a Rite of Passage camp for 150 year 9 boys. The ability connect with their peers in an environment outside the classroom. Being pushed beyond their comfort zones. Your team were fantastic and provided an amazing Into Adulthood experience for our students. Our staff were very impressed with the way the facilitation of the groups worked and they have all expressed their desire to utilise similar techniques in their own teaching practise. Bunbury Cathedral Grammar School (BCGS) were the hosts of the 2018 International Students Conference for the Round Square School (RSS) Group. The Conference was themed “The Footprints we Leave” and built upon the RSS principles of Internationalism, Democracy, Environment, Adventure, Leadership and Service (IDEALS). BCGS identified a group of year 12 students to be group leaders for the student delegates and engaged AW to run student leadership training to develop skills and confidence for this role. 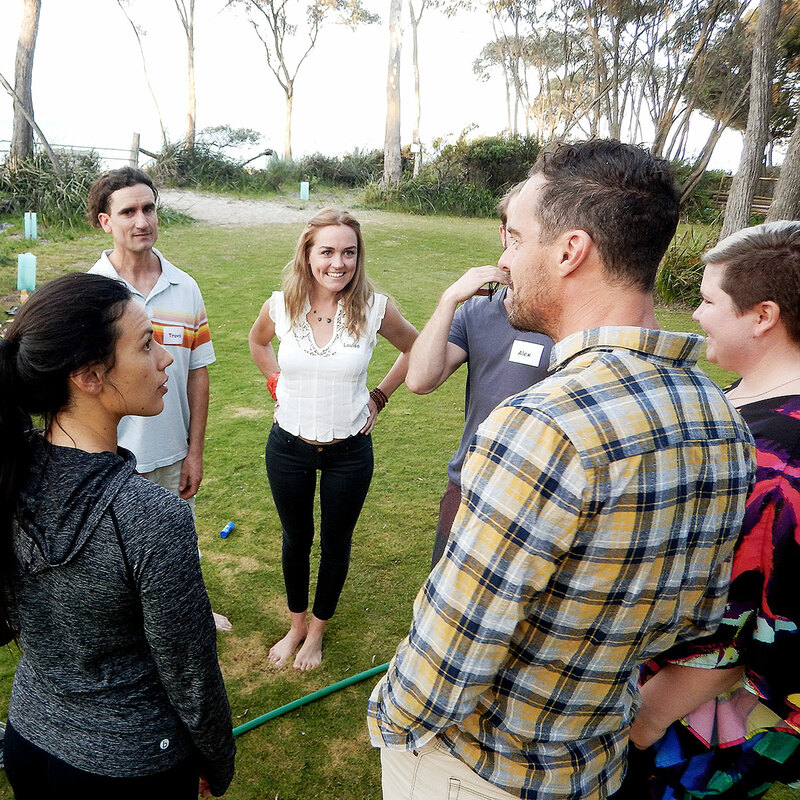 During the five day event AdventureWorks ran team-building activities to build cohesion among the international cohorts, embedding the IDEALS principles into all activities and conversations. We also ran 2 days of external adventure activities to showcase the beautiful South West region. These were designed to provide varying adventure options for students with differing capabilities and confidence. Team-building the focus for the Hockeyroos in the lead up to the Commonwealth Games. The Hockyroos squad, coaches and their support staff spent two days with AW ahead of the 2018 Commonwealth Games. 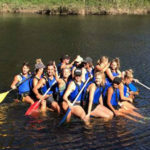 We worked with the coach to identify what they were hoping to achieve as a team and developed a series of activities to build team dynamics and cohesion, then pushed them out of their comfort zone a little more to test the strength of team support and communication. The team went straight back into training and went on to win silver at the Commonwealth Games the following month. Just saying. 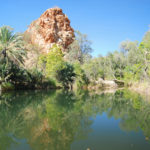 Leading a two week expedition in the Kimberley to support an experiential learning program for Melbourne's St Kevin’s College. 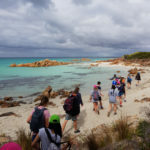 Melbourne’s St Kevin’s College engaged AW to design and deliver a two week expedition in the Kimberley region of Western Australia for the year 9 cohort. In July 2018, the boys will embark on a journey down the Ord River, led by AW facilitators in collaboration with St Kevin’s teachers. We look forward to sharing more about the adventure soon. GROWTH FLOURISHES IN THE OUTDOORS. BECAUSE EVEN THE BEST PROGRAMMES NEED EXCEPTIONAL HUMANS TO BRING THEM TO LIFE. Our beautiful bunch of adventurers embody everything we stand for and we know you’re going to love them just as much as we do. They are the best in the business, consistently using their unique skill-sets to weave magic through all AW programmes to ensure every single one has a positive impact on our customers. From the AW engine room at HQ to the front line on an expedition, our tribe are relentless in their determination to make tomorrow even better than today for our young people.